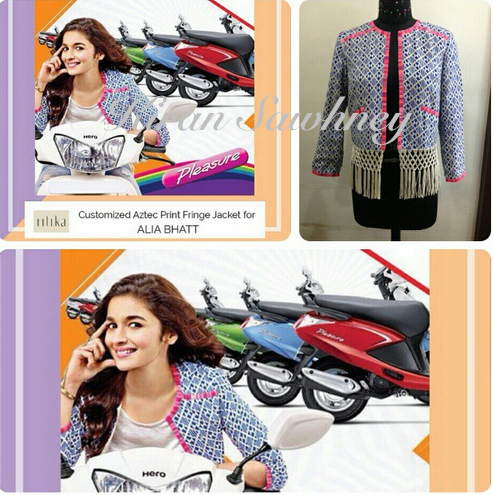 Alia Bhatt in the new Hero Pleasure ad is wearing a customized jacket from Ritika Bharwani Jaisinghani from the designer's Spring Summer 2015 Collection. Her Hand harness, jeans and T shirt are from ASOS. Good styling, we must say.